Because Cancun is located in Mexico, the predial for Cancun is consists of the country code for Mexico and the area code for Cancun. 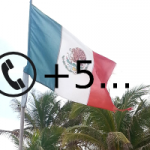 If you would like to call on a Mexican cell phone you have to dial a 1 in addition, before you select the area code. 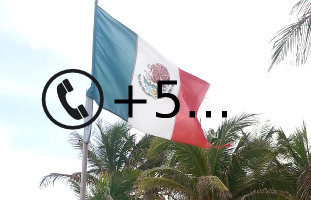 So it is with cell phones: 00521 and then 998 for Cancun, then followed by the actual number. In Cancun it is several hours earlier than in northern countries. Since Cancun doesn't have daylight savings time anymore (since 2015) there is even one hour more in summer time. Therefore the time should be checked before every call.